Crafty Little Blog: Stampin' Up! Card Kits - What Can Be Included? Stampin' Up! Card Kits - What Can Be Included? I've been making and selling kits for various crafts including papercrafting for some time but have recently checked out what Stampin' Up! rules on this are as I've received conflicting advice. I found out some useful information which I thought I'd share. Not only so other demonstrators can consider adding kits to their offering but also so that customers understand how kits must be made up. If a demonstrator is creating project kits—whether they be card kits or any other project kit, they should be careful to avoid purchasing more merchandise than needed for the kits and causing a stockpile of merchandise. · Kit contents must be consumable; they cannot include stamp sets, full-size ink pads, or any products that, if not sold, could be returned to Stampin’ Up! · Kit contents cannot contain Stampin’ Up! products in its original packaging. 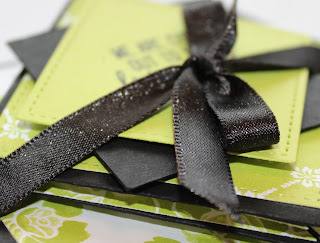 · Kit contents, such as cardstock or paper, cannot include any pre-stamped Stampin’ Up! images. Demonstrators should keep in mind that once they purchase Stampin’ Up! products and create their own packaged kit with those products, they have created their own product in a sense and the products are no longer Stampin’ Up! products. As a result, demonstrators cannot return those items to Stampin’ Up! for a refund or exchange under any circumstances. Please see page 25 of the Demonstrator policies for more information. o If your kits are being prepared for classes where you already received registration fees, non-consumable items are allowed to be added. o You are allowed to host online classes where your customers can pay for the kit and for your class. The purchase of non-consumables however has to be done via the standard ordering process and thus cannot be included in the kit. They have to be sold separately from the kit and the class. When is a "buy now" button, or shopping cart, on a personal website appropriate? Demonstrators may currently include an option to purchase directly from their website for tutorials, for projects or classes only. It is very important to remember that you cannot have a Buy now button for your class if the price includes non-consumables, regardless of the type of class. All non-consumables have to be bought via the standard ordering process, have that product shipped to you (or directly to your customer if she chooses to order via your DBWS) so you can package it with the cut and prepared products to make the project during the class and ship the whole thing to your customers"
Hope you found this useful advice.